Ride through the weird and wild landscapes of south central Utah where deserts, deep canyons and mountains twisted by mammoth forces produce otherworldly landscape. 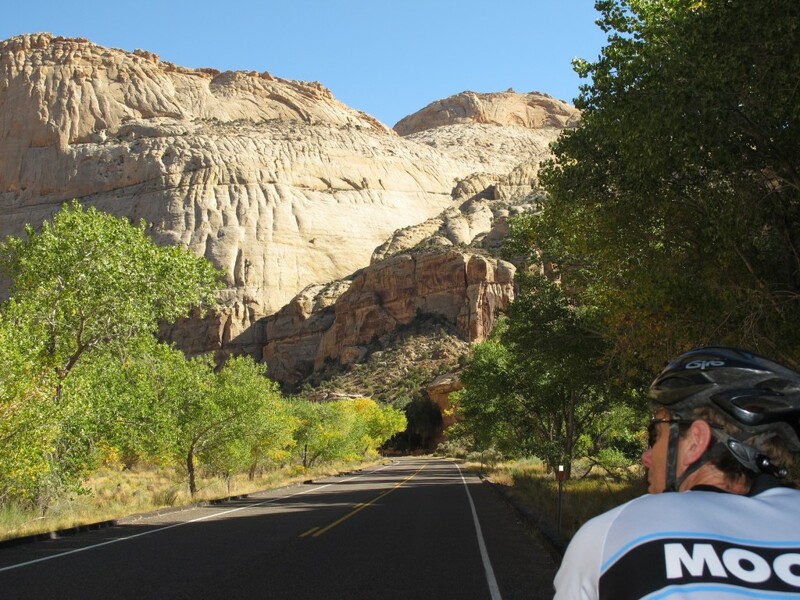 We really can’t say enough good things about our Whiterock Canyons Utah bike tour. It contains a region so spectacular that cyclists are within a State or National Park virtually the entire tour. 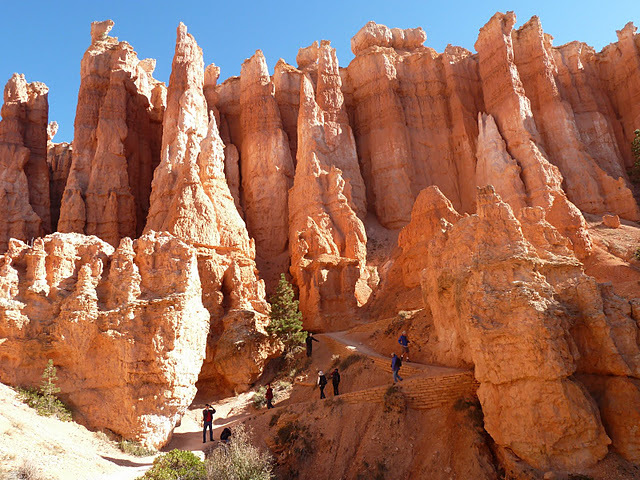 Highlights include Glen Canyon-Lake Powell National Recreation Area, Grand Staircase-Escalante National Monument, Escalante Petrified Forest State Park, Kodachrome State Park, Anasazi State Park, Bryce Canyon National Park, and “America’s Forgotten Park” Capitol Reef National Park. 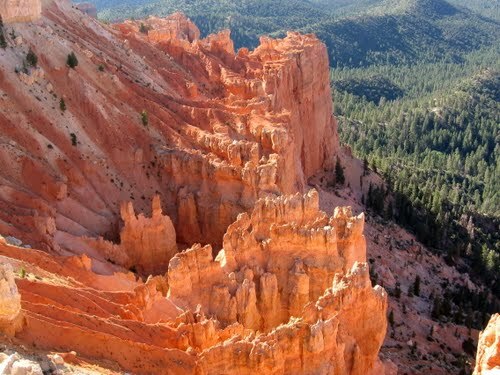 If you are looking for a summer tour to Utah’s National Parks, consider our Utah Mountains & National Parks (Zion & Bryce. 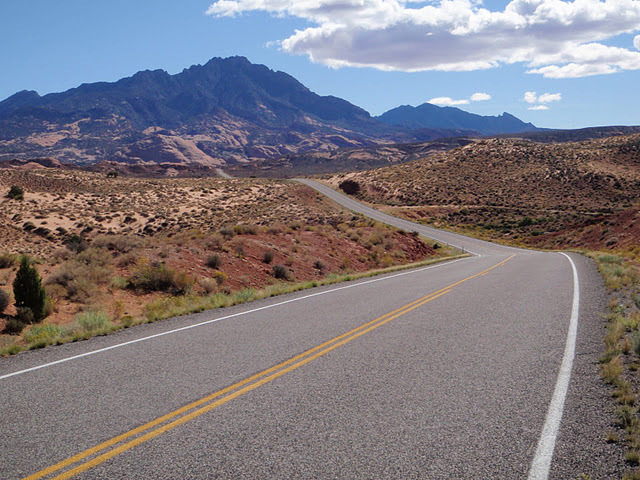 The Utah Mountains & National Parks rides an audacious point-to-point route across Utah’s high country to Zion National Park. 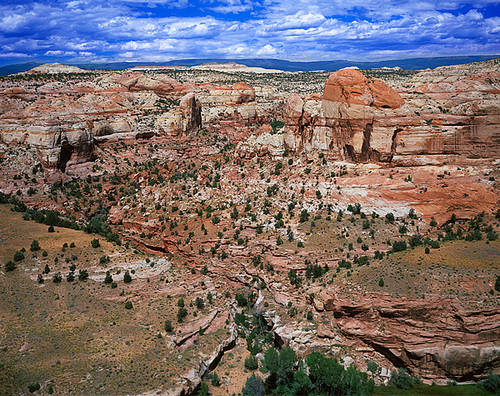 Scenic Flight Option: As an option ($250), the Whiterock Canyons Tour can conclude with a truly spectacular low-level return flight over Canyonlands National Park. Tour Includes: Five nights of lodging, all meals, taxes, entrance fees, lunch on the route, energy food, liquid refreshments, shuttles, guide service and mechanical support. Alcoholic beverages, massage, bike rental are additional. 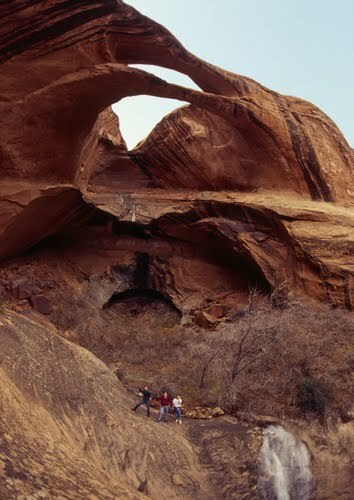 The Mormon Church’s Hole in the Rock Expedition of 1879 attempted a crossing of this inhospitable terrain to settle Bluff, Utah in 1879. Although ultimately successful, the 60 young families struggled and suffered bitterly with wagons and beasts of burden for months across an unforgiving moonscape of rock and canyon. 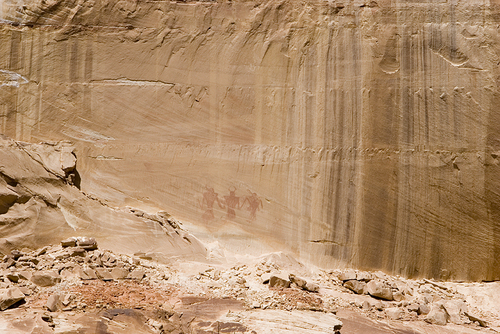 They had chosen an impractical route of epic proportions in their attempt to cross southern Utah. 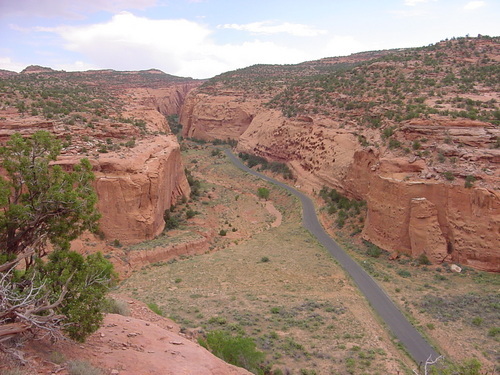 Today this is the route of our Whiterock Canyons Tour! The Whiterocks Tour is not your typical road bike tour. 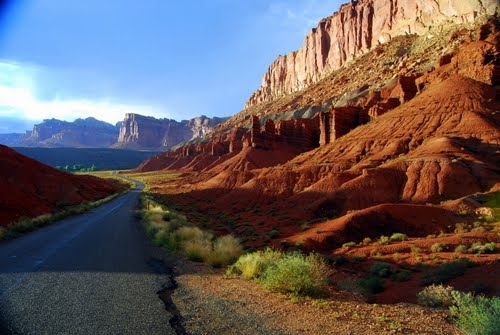 For example, on Day 2 we explore the Burr Trail from the depths of Lake Powell to America’s “Forgotten National Park”, Capital Reef. 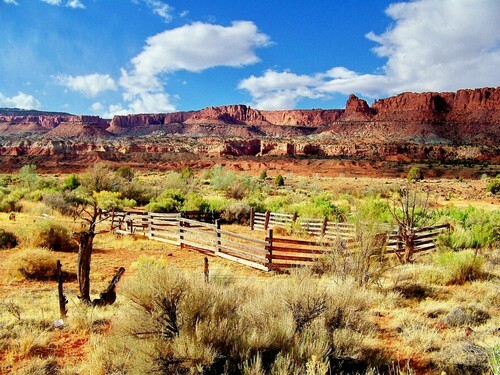 Day 2’s Burr Trail ride is a 66-mile long road that crosses through a rough and tumble desert topography of wild beauty. 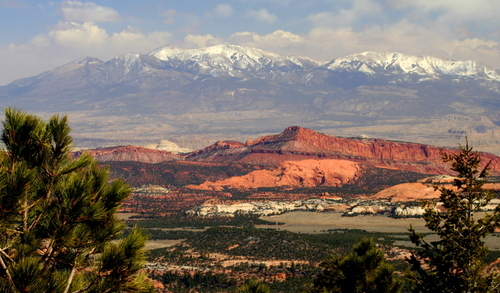 We consider the Burr trail one of the most unique and challenging rides in the United States. It is a highlight of this Utah Bike Tour. 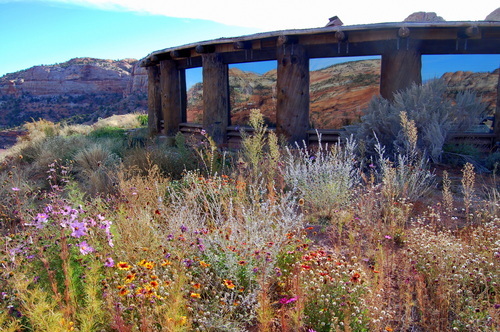 From the Defiance Lodge on Lake Powell to the remarkable hospitality of the Boulder Mountain Lodge and the Slot Canyons Inn Bed & Breakfast, the lodging and food on the Whiterocks Tour ranks as one of our favorites. 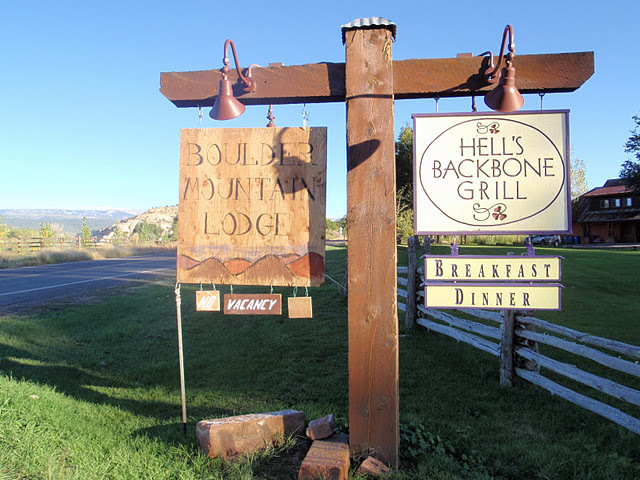 We enjoy the staff and food at Hell’s Backbone Grill in Boulder, Utah to such a degree that we dine there for two nights. Ride Ability: Can I Ride this Tour? 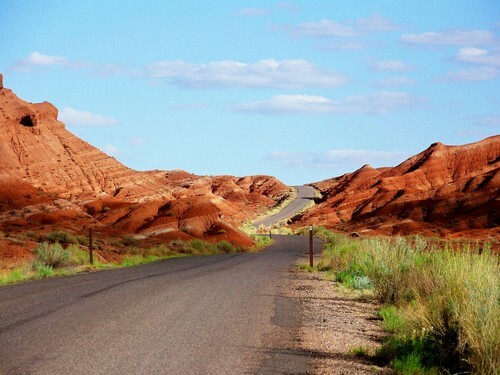 The Whiterocks tour has less mileage, but more climbing then Lizard Head Cycling’s much loved Redrock Canyons Tour. As a result the challenge of the Whiterocks is comparable to the Redrocks Tour. If cyclists pedal all of Day 2’s climbs, there is over 7,000-feet of climbing available. 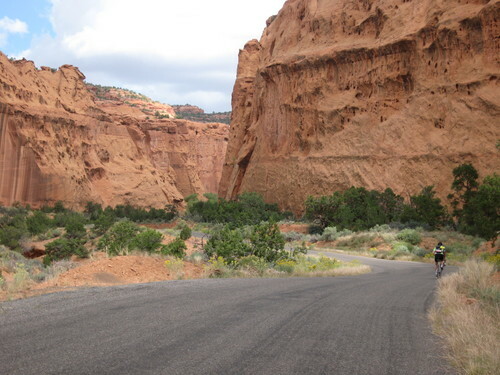 Although the overall miles are less then the Redrock Canyons Tour, additional mileage options and the climbing available on the Whiterocks Tour make it a real challenge to pedal every mile. The Whiterocks Tour is designed for intermediate to advanced cyclists. 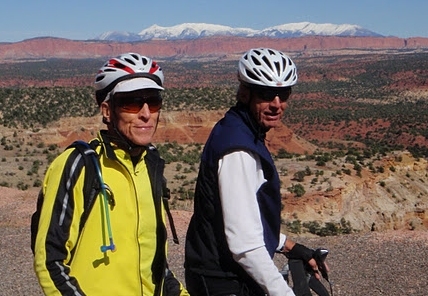 Both cyclists new to multi-day tours and advanced riders who pedal over 5,000 miles annually have enjoyed the Whiterock Canyons Tour. The tour is a similar challenge to rides such as Cycle Oregon, Ride the Rockies, or RAGBRAI. We have discovered that many cyclists who worried themselves sick about not being able to keep up, are surprised to find that all the worrying was about nothing. They do just fine! 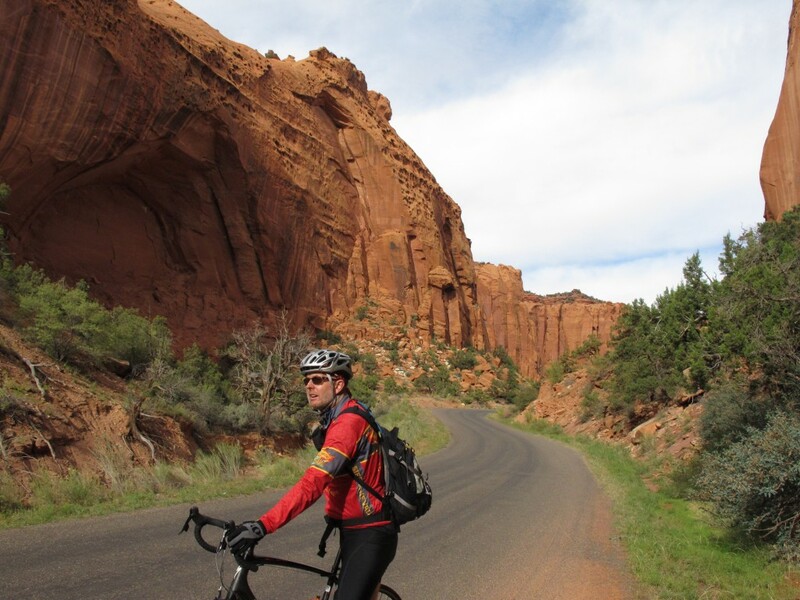 Daily mileage options allow cyclists of varying abilities to enjoy our tours. One of our favorite options is to give cyclists a “bump” via the support vehicle. A bump is a 10 to 20 mile lift down the road representing an hour of pedal time. It takes an hour or more to reel-in a cyclist with a 15-mile head start; as a result off-the-front riders have time to linger and to take in the spectacular scenery. Cyclists come back together in time for lunch. Post lunch the cyclist can take another bump and/or continue riding. It is no big deal. PLEASE don’t be scared away from this tour. It is not as hard as it may sound. Day 1’s route is a real gem! 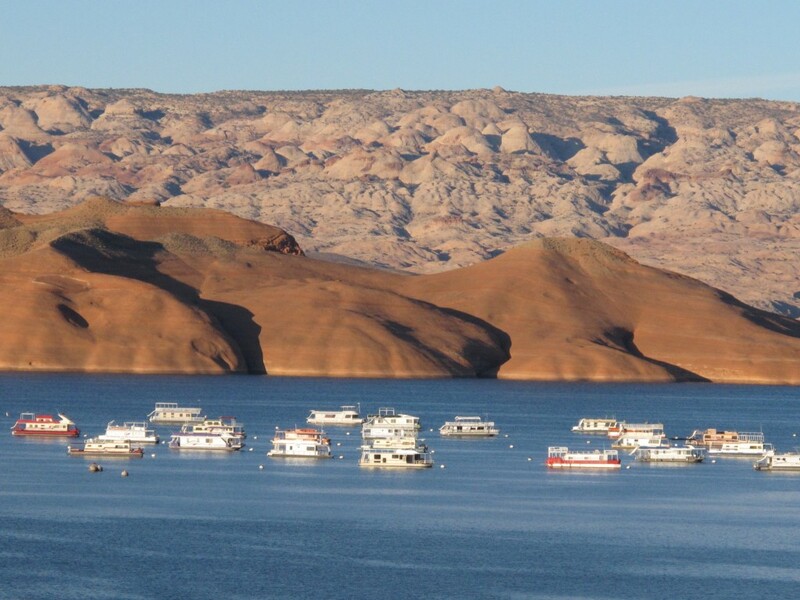 When we put this tour’s itinerary together we had not realized how compelling a ride Day 1’s tour through the Henry Mountains to Lake Powell would be. 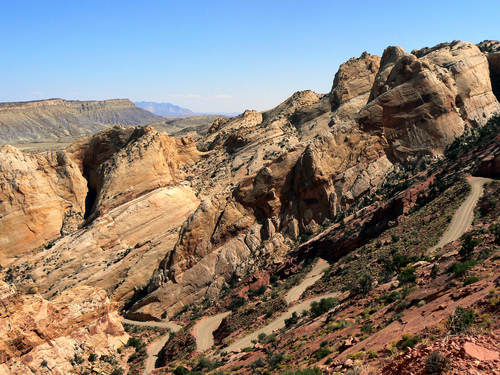 The road moves with the landscape as it dances between massive redrock boulders and mysterious canyons. There is a 800-foot climb onto the shoulders of the Henry Mountains followed by more ups, downs, twists and turns then one cares to count. The route even passes through the range of a free roaming Buffalo. In short Day 1’s ride is a blast. 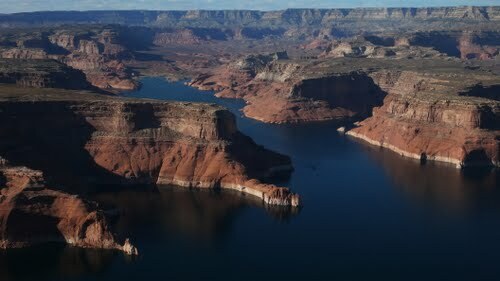 To complete Day 1 cyclists are rewarded with a long descent into the Glen Canyon-Lake Powell National Recreation Area. 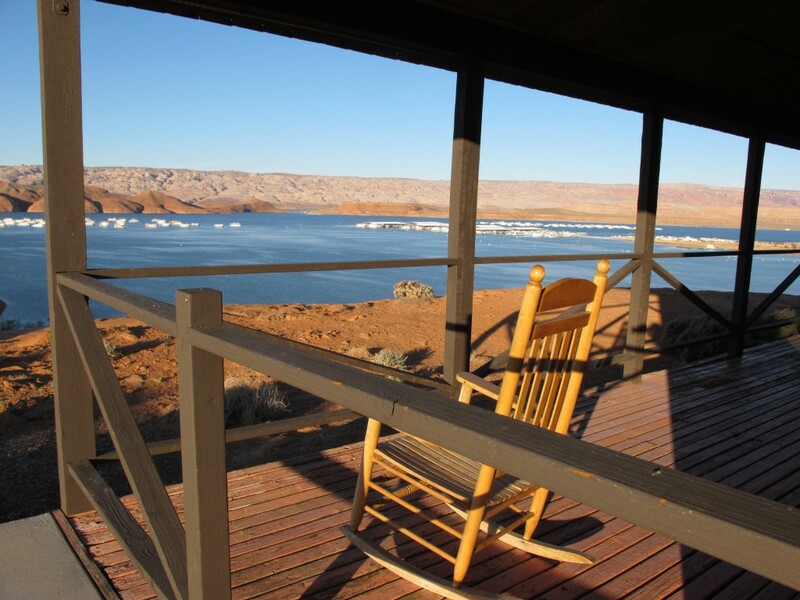 Tonight’s lodging and dinner is at the Defiance Lodge overlooking the deep-blue waters of Lake Powell and the mystical canyon walls that surround the reservoir. If Edward Abbey’s fictional character Hayduke were still alive, he would live somewhere hidden in this region. Day 1: Riding through Henry Mountains to Lake Powell. Wow! 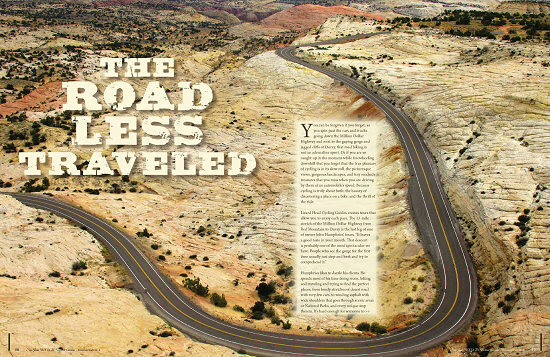 Established in in 1876 as a cattle trail, the Burr Trail snakes through the rough and nearly impassable country around the Waterpocket Fold, Burr Canyon, and Muley Twist Canyon. In the 1990’s, and to the chagrin of some environmentalists, all but 16 of the 68 mile trail were paved. Still, the length, location, and remoteness of the route virtually guarantees a day of wonderment on the bike unlike any other. 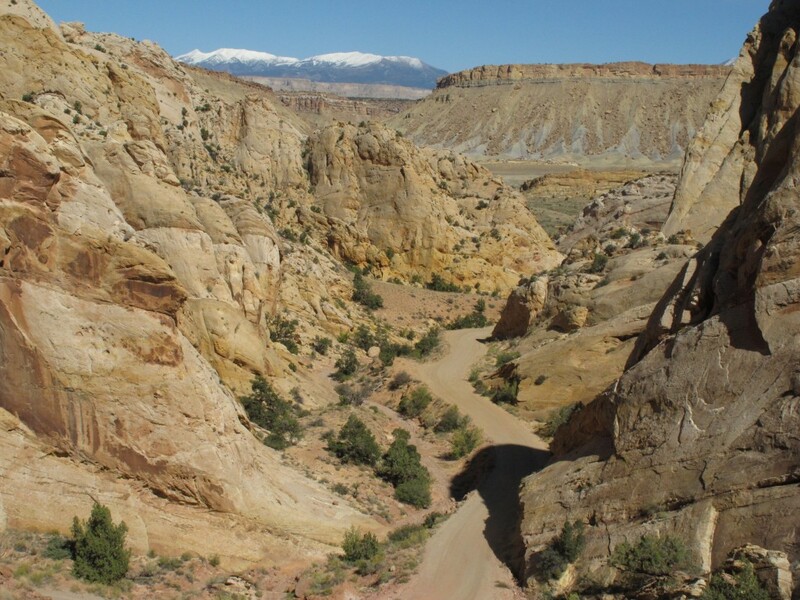 A shuttle is available for the 16 unpaved miles of the Burr Trail or if cyclists enjoy the challenge of pavé they can elect to try and ride up the dirt section. After the pavement resumes cyclists exit the Burr Trail after riding within the narrow confines of Long Canyon’s 700-foot high walls. Day 2 is the “Queen Stage” (the longest day with the most climbing) of the Whiterock Canyons Tour. If cyclists are able to pedal the entire 71 miles (including the 16 miles of dirt/pave’) they will have climbed over 7,000-feet in only 71 miles of pedaling! This evening’s lodging is at the Boulder Mountain Lodge, a welcoming oasis of calm, comfort and luxury in an otherwise harsh environment. From it’s western-eclectic log, stucco and stone architecture to it’s refreshing eco-tourism personality this place just feels good. And with critically re-known Hell’s Backbone Grill on-site you’ll know why we visit the lodge not once, but twice this tour. Read New York Times Story about Hell’s Backbone Grill and Highway 12. 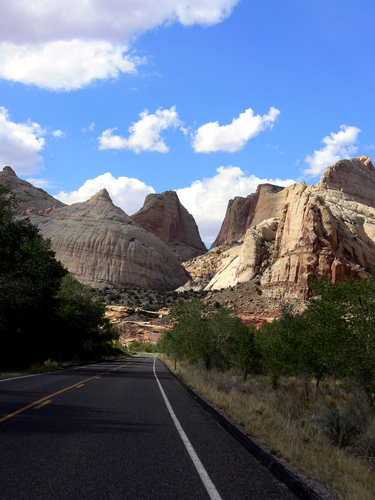 Today the Whiterocks Canyons Tour joins Utah State Highway 12. If ever there was a road built for cycling, this may be it. Highway 12 twists and turns and climbs and dives across rough desert topography. The road sees little traffic and is in a word, simply spectacular. From Boulder, Utah we follow Highway 12 across the ridge of Hell’s backbone; an exposed piece of highway which drops hundreds of feet on either side. 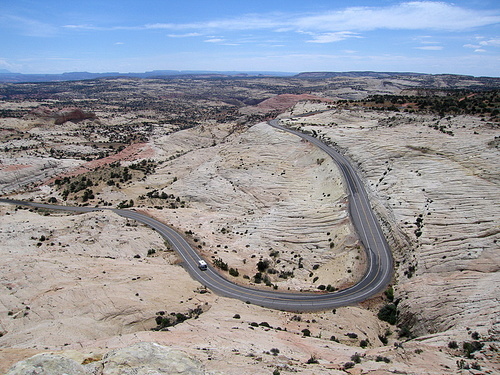 Highway 12 traces the northern edge of the Grand Staircase-Escalante National Monument, a 1.9 million acre spectacle of multi-hued cliffs and terraces with distances that defy human perspective. After 12 miles we arrive at Calf Creek Recreation Area where bike shoes are exchanged for hike shoes. 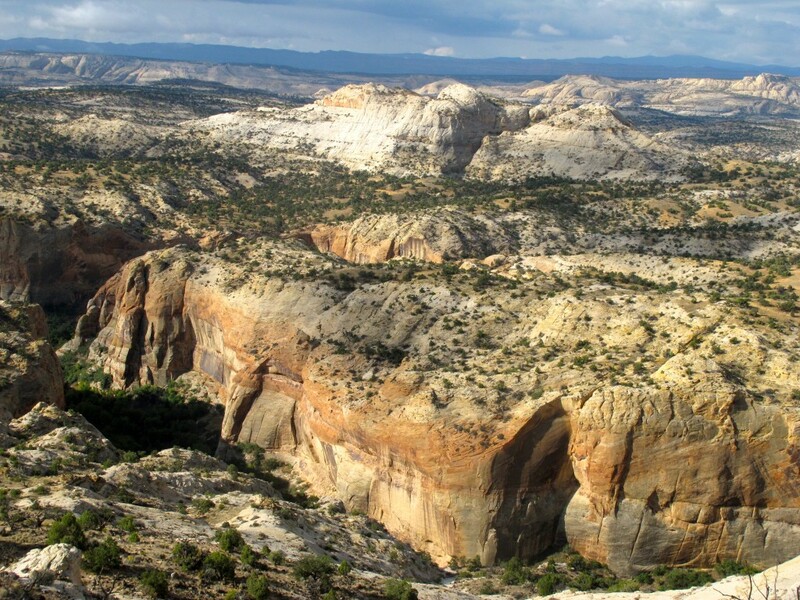 Calf Creek is an enchanting desert oasis with lush vegetation, beaver ponds and after a 3 mile walk the year-round 126-foot cascading waterfall of Lower Calf Creek. 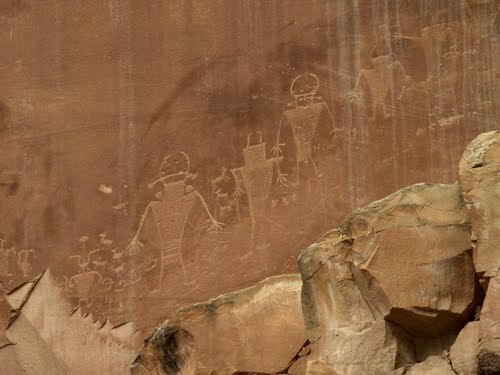 In this desert paradise we spend a few hours in search of Indian ruins and petroglyphs while observing wildlife such as birds, deer and if very lucky, even mountain lion. 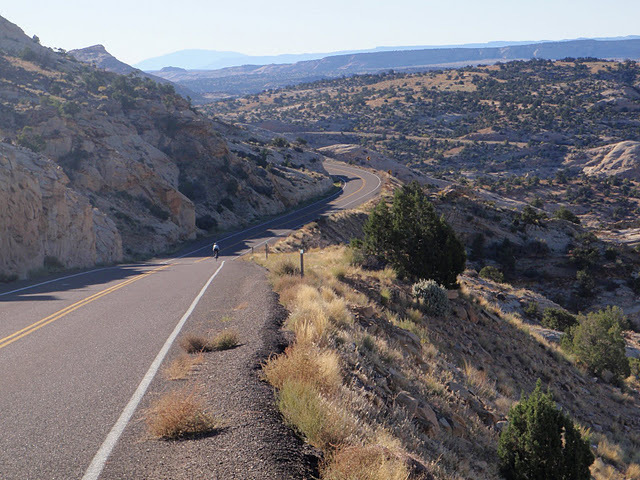 After the 6 mile roundtrip walk in Calf Creek cyclists can call it a day or challenge themselves with a 19-mile (including a 6-mile 1,000-foot climb) ride up and over to the Slot Canyons Inn Bed and Breakfast in Escalante, Utah. 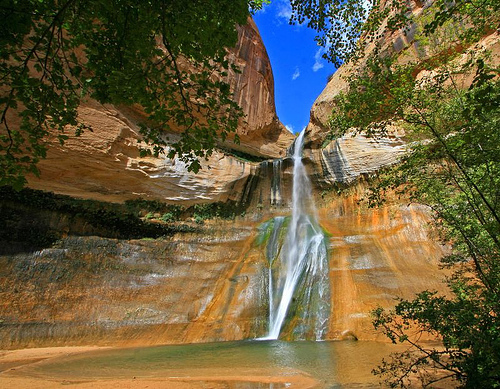 Lower Calf Creek Falls: An all time best swimming hole! 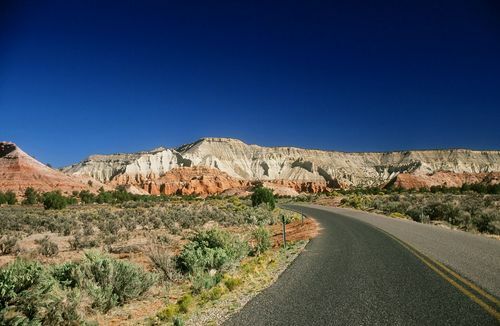 Although today is a rest day on the Whiterocks Tour where pedaling is not necessary, cyclists wishing to ride some or all of highway 12’s dazzling twists and turns (49 miles) back towards Escalante can choose to do so. Tonight we return for a second night at the Slot Canyons Inn Bed & Breakfast to refresh the body, mind, and spirit. 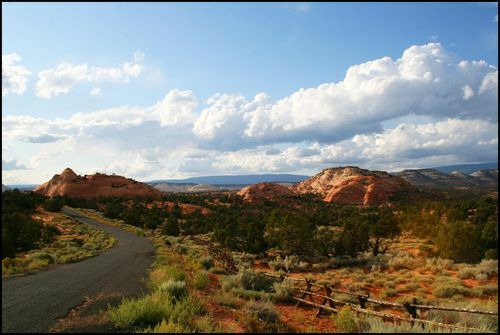 Star-gazers will delight in one of the clearest and darkest skies in the U.S. visible from our lodging in Escalante, Utah. After departing the Kiva Coffee House cyclists put the caffeine to use over the final 15-miles of riding which includes an 1,800′ foot climb up Hell’s Backbone’s 10% grades. We’ll arrive at the Boulder Mountain Lodge by mid-afternoon to enjoy the adjacent bird sanctuary, the view from the “epic” hot tub and the beautifully landscaped grounds of the lodge. In the fall colors rage on the mountain while fruit tree groves are ripe in the Fremont River Valley below. 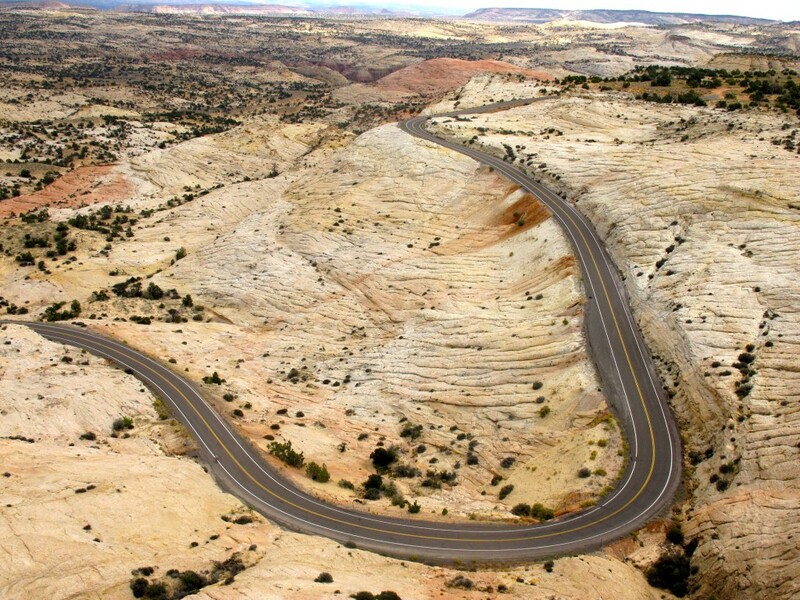 A whopping descent brings us back to canyon country before pedaling yet another spectacular road through the canyons of Capitol Reef National Park. A fabulous end of tour option as the sun sets in the west on this epic tour, is a scenic return flight back to Grand Junction. 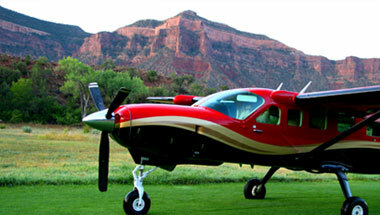 The professionals at Gateway Canyon Air Tours and Redtail Aviation will fly cyclists on a low-level scenic route over Canyonlands National Park and Moab, Utah back to Grand Junction for one last breathtaking perspective of canyon country! 2014 Meeting Location: The Courtyard Marriott on Horizon Drive in Grand Junction, Colorado is adjacent to the airport and provides an airport shuttles. Ending Location: The tour ends at the Marriott after Day 6’s ride and return scenic flight. Pre and Post Tour Lodging: Riders are responsible for their own lodging for nights preceding or following the tour as needed at any Grand Junction area facility of their liking. 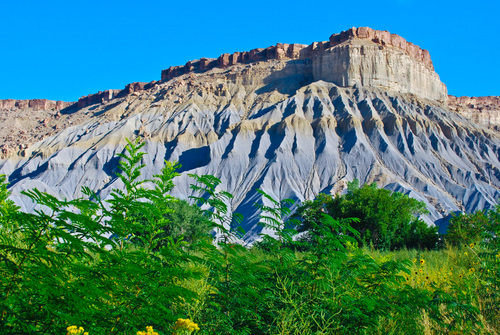 The Courtyard Marriott on Horizon Drive in Grand Junction, Colorado is LHCG’s preferred lodging provider for this tour and is our beginning and ending location. The Courtyard Marriott is adjacent to the airport and provides airport shuttles. Ask for the Lizard Head Cycling Guides preferred rate. Tour Months: The tour is offered during the months of May, June, September and October. Dining: Cyclists dine each evening at uniquely local dining establishments chosen by Lizard Head Cycling. All meals are included with the costs of the tour. Tour Support: The tour is supported by a van and trailer which carries all luggage and equipment. Spare tubes, tires and bikes are carried on the support vehicle. The Daily Schedule: Cyclists ride at their own pace. Tour riders depart each morning as early as they choose and can use the support vehicle when they desire. 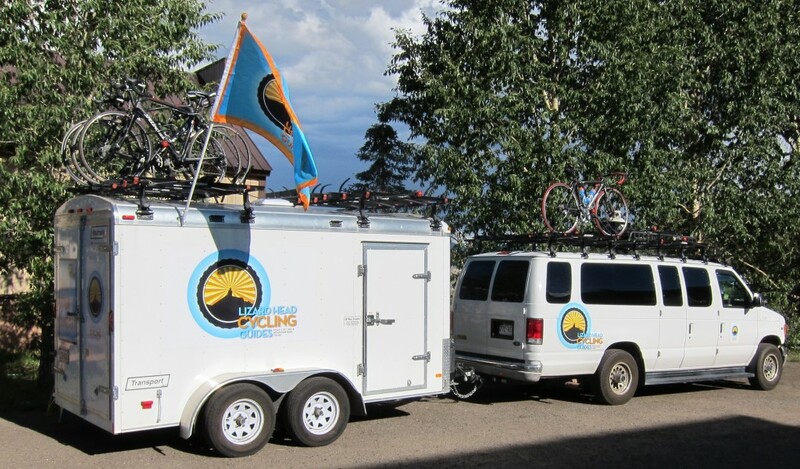 The tour is designed to provide mileage options depending on cyclist’s fitness level and desire.The support vehicle, a 15 passenger van & trailer, provides a shuttle option from aid stations along the route. Plan to depart early each morning to allow time for exploration, photography and siesta. Daily Support Schedule: Every 15 to 20 miles an aid station is set up with liquids, energy food, & fruit. Lunch on the trail includes: fresh sandwiches, fruit, salads, & soft drinks. How the Shuttle Works: The Whiterock Canyons Tour offers cyclists a challenge while at the same providing easily accessible mileage options for riders of varying fitness levels and desires. 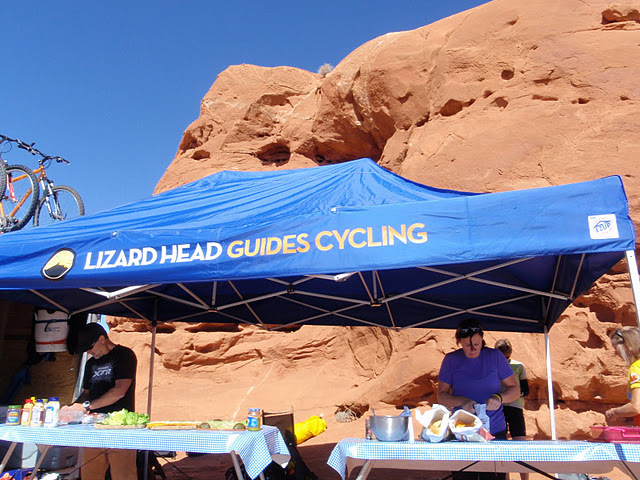 Lizard Head Cycling’s tour leaders offer advice and provide cyclists with profiles of each stage. Cyclists customize their experience by reducing overall mileage and choosing to avoid or focus on climbing the big hills of any given day. The system works through a support vehicle that jumps ahead rather then sags to set up aid stations. This allows cyclists to linger at the back and then take a ten-mile, fifteen-mile or whatever mile “bump” forward to catch-up or get ahead of the group.Many cyclists on Lizard Head Cycling’s tours ride their first century with us and are surprised by their ability to pedal most of the miles offered. 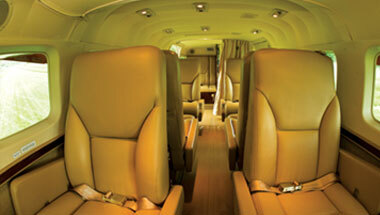 If you have any questions about your ability to ride with us, please call us today (970.728.5891).